Any book lover owes it to themselves to visit The British Library. With over 170 million items, it is the world’s largest library. If one were to visit the library every day, and look at 5 items a day, it would take 80,000 years to see it all! The impressive catalogue is backed up by formidable size. The library boasts enough reading space for over 1,200 studious bookworms, and 625 kilometers worth of shelf space. The library attracts 1.75 million visitors every year! 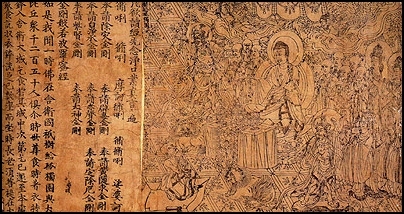 On display from time to time is one of the library’s most treasured items, The Diamond Sutra, the first known printed book. Other gems include The Magna Carta and handwritten Beatles lyrics, especially noteworthy now that Bob Dylan is the recipient of the Nobel Prize for Literature. Next time you’re in London, pay this gargantuan, ship-like building, a visit.